"We did not object, for church was not where we learned of God or His ways, but where we met our ... friends and continued our long, rambling talks." 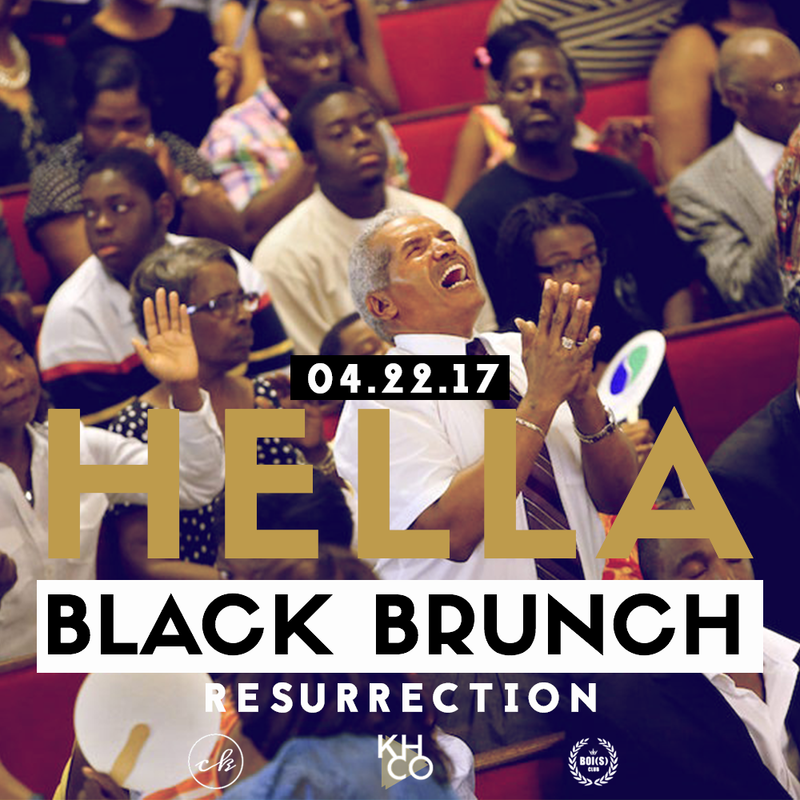 As a proactive effort to hold safe space for black and queer people of the African diaspora, Khafra & Company is hosting a post-Easter celebration, a communal brunch. "Resurrection is the reuniting of the spirit with the body in an immortal state." While acknowledging the importance of our personal distinctions and life experience, we solemnly insist that we are not alone. "Resurrection is the concept of a living being coming back to life after death. " While the problem of black life has always been humankind's central problem, it now takes on the character of an inescapable concern: Black people have been dying in America for a very long time. Food: From fried chicken and waffles to poached eggs, grits, even fried spinach (and a whole lot in between), Resurrection's menu includes a fully-catered brunch fusing savory Sunday dinner flavors with sweet and spicy Caribbean and West African notes, all accented with two refreshing batches of bourbon sweet tea and lemonade. Of course, there'll be gluten-free, vegan, and non-alcoholic options. Fun: As always, we've got you covered with a Khafra-curated playlist. Plus, this time we're throwing in a few crafts + card games. And this gathering is definitely BYOB (Bring Your Own Bones). Future: We're only moving into the second part of this year, and it's already been a doozy. In this safe space, we'll break bread, develop communal strategy, and -- for one day only -- khoLi. will be giving personal and professional community tarot readings.